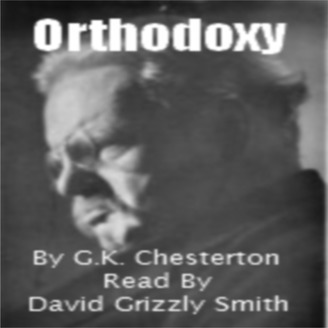 "Orthodoxy," a series of essays by Gilbert Keith Chesterton. First published in 1908. Read by David "Grizzly" Smith. "The only possible excuse for this book is that it is an answer to a challenge. Even a bad shot is dignified when he accepts a duel." This is how Chesterton explains "Orthodoxy," the sequel to Heretics. "I have attempted in a vague and personal way, in a set of mental pictures rather than in a series of deductions, to state the philosophy in which I have come to believe. I will not call it my philosophy; for I did not make it. God and humanity made it; and it made me." This is a book about Everything, about the reasons for the entire Universe and the existance of Humanity. Andit's kinda funny. except for the serious parts and the sad parts. It's about all of life, and human life includes humor, drama and sadness, so that's all in the book, too. The chapters look longer than they are, each being roughly an hour -- and no, it wouldn't have worked to break them in half. I've found them a very quick listen. Hope you enjoy this book. 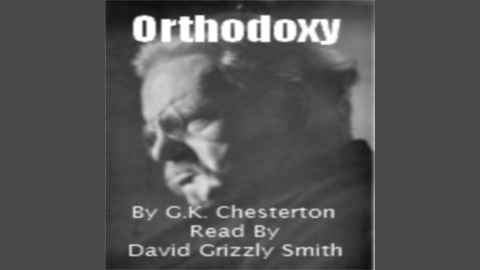 If you liked Heretics, you'll like Orthodoxy, because it's Chesterton. And if you do, please share it, please comment about it, rate it, blog and podcast and Tweet about it. Oh, and let me know. :) The music is "The Rule," from Kevin MacLeod at http//incompetech.com. Thanks! If you liked Orthodoxy, you may like the other books I've recorded.